Millions of student loan borrowers are working hard to stay on track and pay off their student loans. Most of you send in your payment to your student loan servicer (the company that sends you your bill) on time each month, and many of you might even send in some extra cash to get ahead on paying off your loans. All student loan borrowers have the right to make extra payments (known as prepayments) at any time, without any fees or penalties. If you can afford it, paying a little extra each month or making a lump sum payment towards your principal is a great way to lower the total cost of your loan. Not only do you pay down your debt faster, but you save money on interest charges over time. We are concerned that student loan servicers may be making it harder for borrowers to get ahead who have made additional payments on their loans. A number of consumers have reported that, after trying to get ahead on paying off their student loans, they were sidetracked by their student loan servicer. These borrowers report that by lowering the consumer’s monthly payment amounts, their servicers extended the repayment period and the amount of interest a consumer would pay. Consumers report that their servicers did this without the borrower having requested this change and, in some cases, without letting the borrower know this change was coming. While lower monthly payments could sound like a good thing, if consumers paid according to the new billing statement amounts sent by their servicers, they would make smaller payments over a longer time—potentially increasing the total cost of their loans by hundreds of dollars. "[My servicer] just sent me notice they have automatically decreased my payment amount by half--this is without my consent. In effect, [my servicer] is trying to double the length of my repayment AND charge me the related interest. [My servicer] offers no way for me to manage the payment amount through their web site or through their automated phone system. I can LOWER my payment through these automated systems, but I cannot restore my original, higher payment amount." Double check to make sure you’re still on track to meet your goals. Take a look at your monthly statement and your account payment history (generally available for free on your servicer’s website). If you discover that your servicer has lowered the monthly payment for your loans and you’re trying to pay off your debt more quickly, you can tell your servicer to set your monthly payment back to your requested payment amount, or choose to make extra payments each month. Tell your servicer what to do with your extra money. If you regularly pay extra toward your loans through automatic payments, contact your servicer to ask to establish a standing instruction on your account so your extra money goes to, for example, your most expensive loan-generally the loan with the highest interest rate. You can also provide instructions with individual payments. By allocating extra money to your highest interest rate loans, you may save hundreds of dollars or more while also paying off your loans faster. You may need to contact your servicer’s customer service department directly by phone or email to set up your prepayment preferences – especially if you have been making automatic payments. You also want to be sure your extra money isn’t advancing your due date and causing your servicer to give you a “payment holiday.” This can cause you to go multiple months without making a payment (called “paid ahead status”), and may cost you more in interest charges over the long-term. If something doesn’t look right, ask for help. If you get a surprise bill for a payment amount that is less than what you were paying before, contact your servicer and ask to be placed back on your previous repayment schedule. If you’re having trouble with your servicer, submit a complaint. Earlier this summer, we joined leaders at the Department of Education (ED) and the Department of the Treasury, as ED announced new standards for the servicing of federal student loans , including improvements in the way student loan servicers should communicate with you when they make changes to how they handle payments, when they make changes to how their systems work, and if your servicer is going to change. We’re continuing our work with student loan servicers, federal and state agencies, and other stakeholders to strengthen student loan servicing practices. The Bureau has also prioritized addressing illegal student loan servicing practices when they occur. 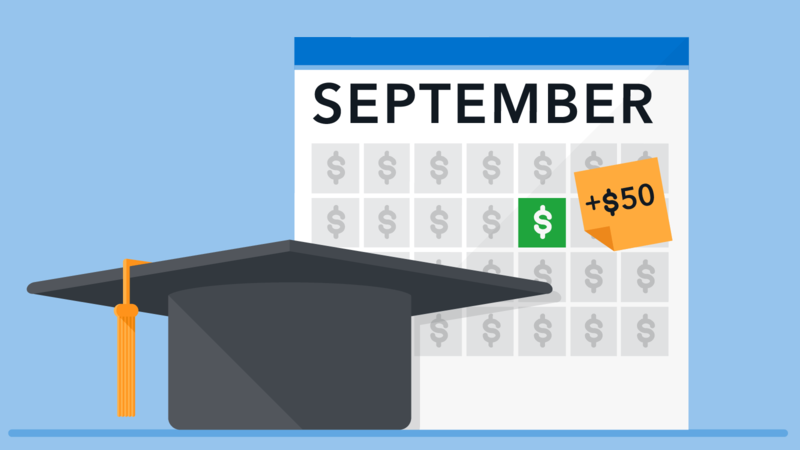 If you have questions about repaying student loans, check out our repayment tool, Repay Student Debt, to find out how you can tackle your student loan debt. For more information on student loans and other consumer financial products or services, visit AskCFPB. Seth Frotman is the CFPB’s Student Loan Ombudsman.To learn more about our work for students and young consumers, visit consumerfinance.gov/students.